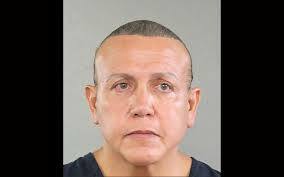 Trump supporter charged with mailing 13 bombs across the US – Royal Times of Nigeria. A Florida fan of Donald Trump was arrested and charged on Friday with mailing thirteen bombs to opponents of the US president in a brazen, week-long spree that inflamed the country ahead of key elections. US officials named the man as fifty-six-year-old Cesar Sayoc. He faces five charges including mailing explosives and threatening ex-presidents. Mr Trump said the acts were “despicable and have no place in our country”. 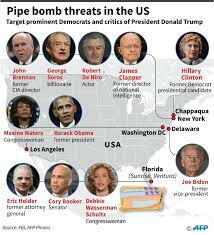 Fourteen items have been sent in recent days to figures including ex-President Barack Obama and actor Robert de Niro. Two were found in Florida and New York City on Friday morning.